There will be intermittent weekday closures of the U.S. 101 Vignes Street on/off ramp starting Thursday, Sept. 21. 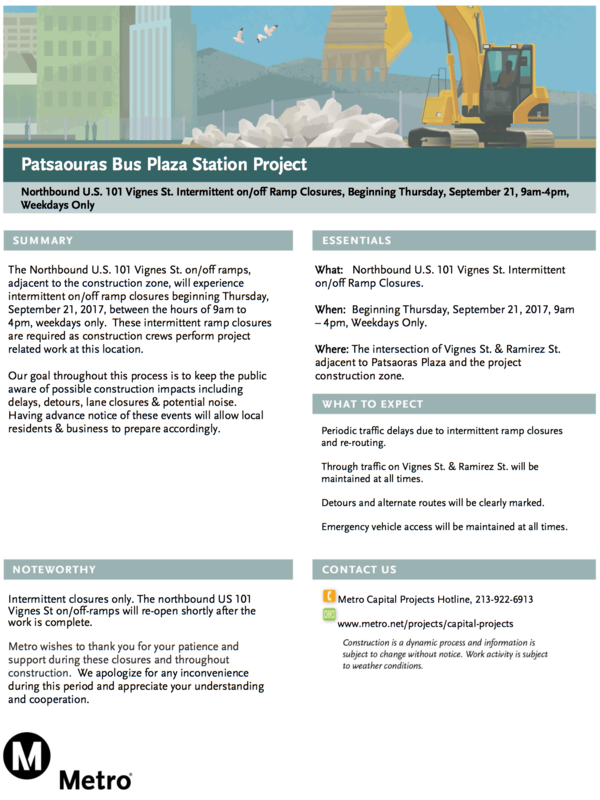 The closures will take place from 9 a.m. to 4 p.m. During the closures, crews will perform work related to the Patsaouras Bus Plaza Station Project. The full construction notice is below.